I’ve been hearing a lot about Marvel’s big event for this year – Secret Wars. It’s going to change the face of the Marvel universe forever! Again! I guess I’m fine with it. There are so many years of history to sort out, that I suppose it’s a good thing to make a fresh start every so often. It’s not supposed to erase the previous years of history – all of that still happened, but a new unified timeline will come out of it. Some old characters will change or go away, and some new ones will find a more permanent home. 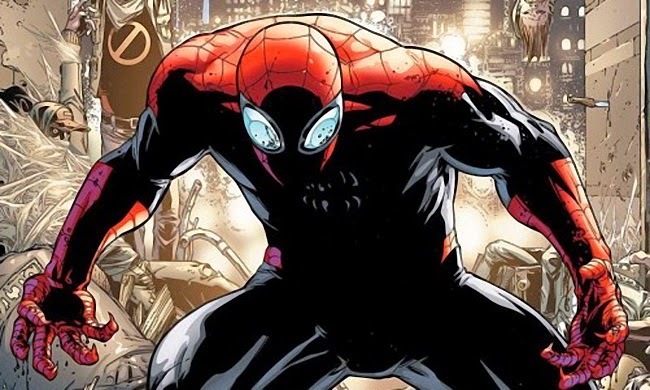 I really loved the Superior Spider-man run, and was in a way sorry to see Otto lose the job. He was a breath of fresh air as Spidey and did some great things with the character. To be able to have Peter Parker back in the driver’s seat and Otto as the Superior version co-existing? I’ll take that ride. I’m not so sure about Spider-Gwen and a few others, though. I hope there aren’t too many Spider-People running around. There are a few new books that I’m really enjoying that I don’t want to get derailed by the event. Thor has been excellent, and they’re teasing us with who’s really behind that mask. Antman is off to a good start as a really likable book. I don’t like it when writers are forced to shoehorn an event into n existing story line they’ve got going, so we’ll have to see how those play out. It should be fun, though, and I’m sure they’ll get a bump in sales from it. What happens after that only time will tell.